Garden Rows and Scattered Seeds are 2 designs in 1 pattern. 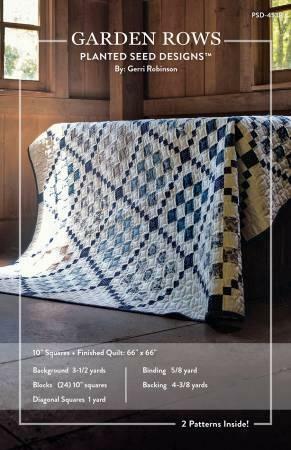 Both quilts are designed from the Charming fabric collection by Gerri Robinson for Penny Rose Fabrics. Just 1 Charming Stacker will make both designs! Garden Rows finishes 66in x 66in; Scattered Seeds finishes 70in x 70in.